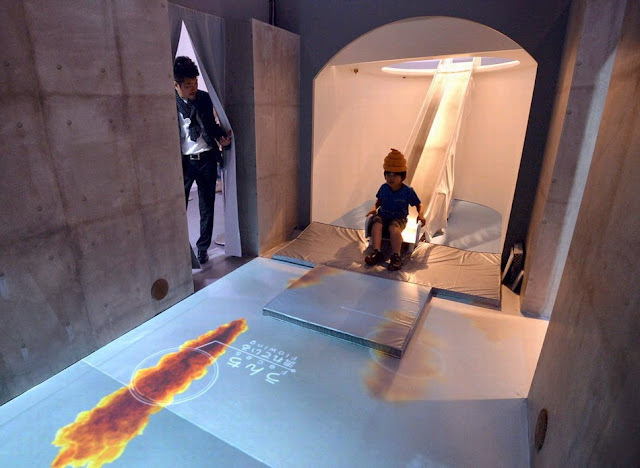 An interactive approach can be applied to children education, they can learn well and faster. 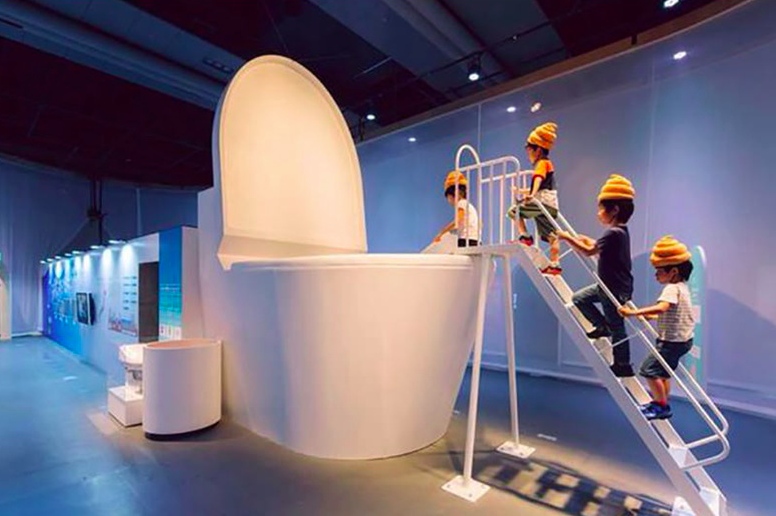 So how about education about toilet stool? 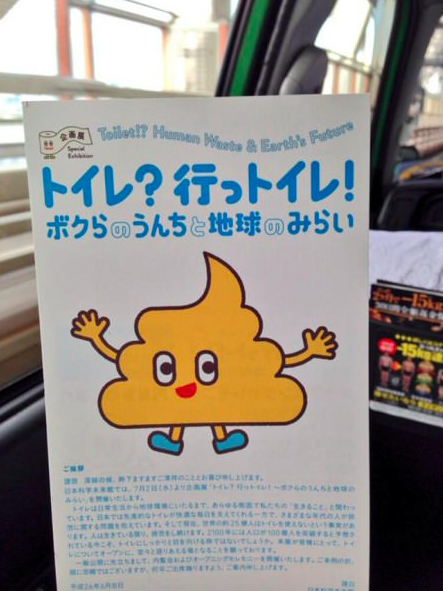 o.O? 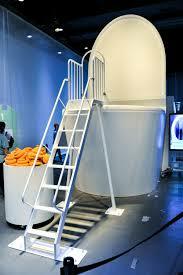 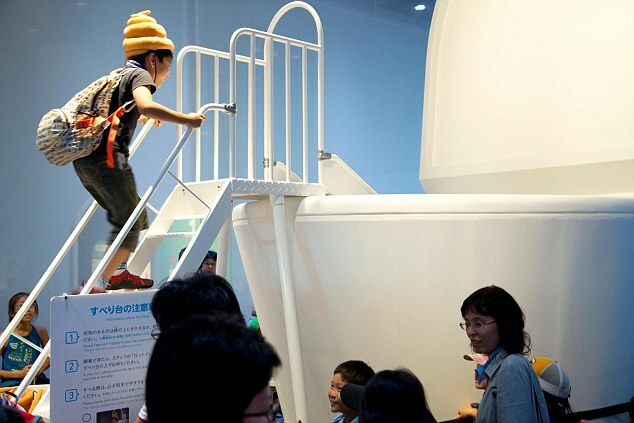 Japan launched a toilet stool education with provided a giant stool slide for children. 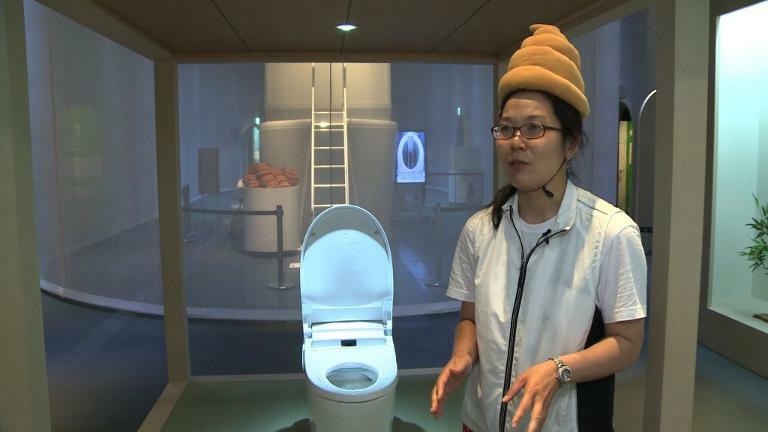 They can put a "poop-hat" and ride into it, to learn what is all going on in the toilet. 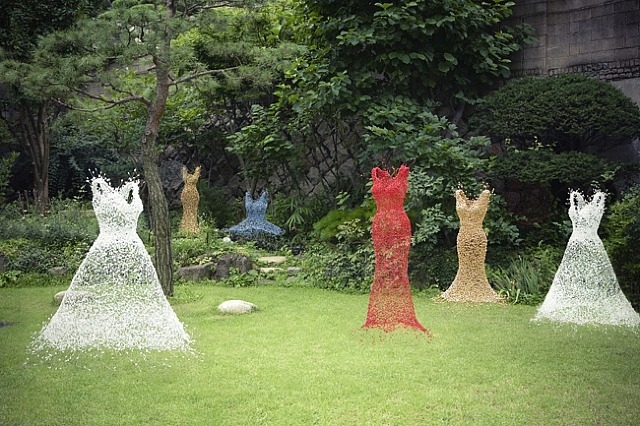 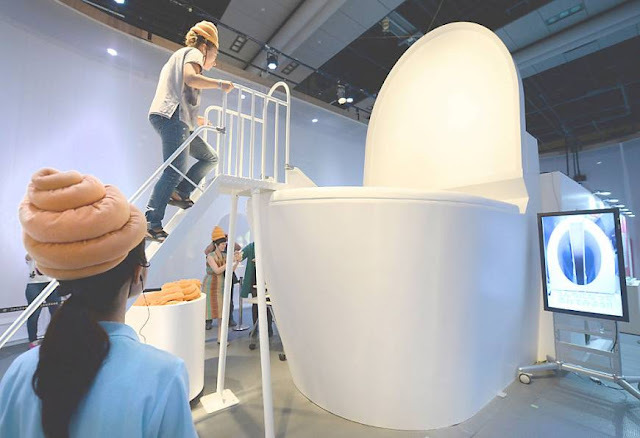 This is bizarre but a bit weird fun. 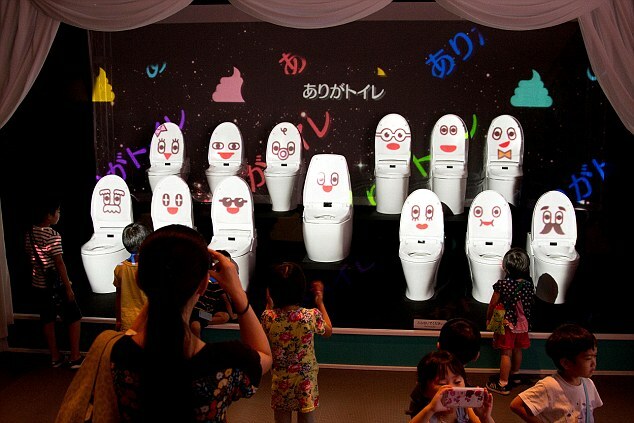 This exhibition titled “Toilet!? 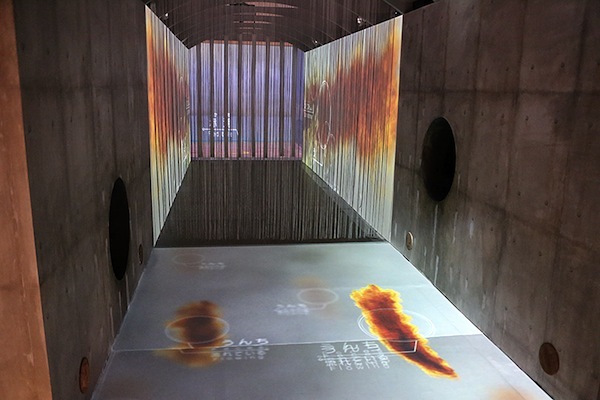 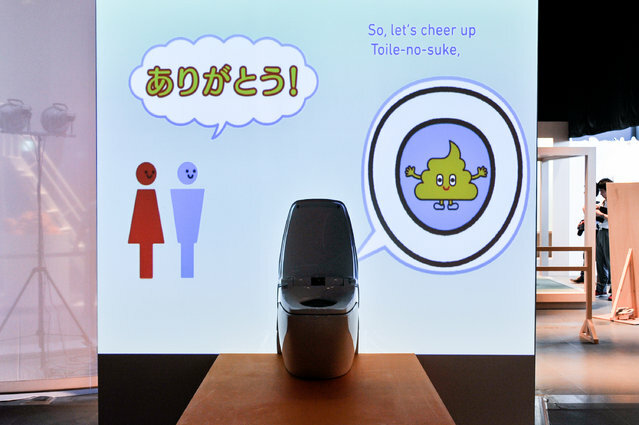 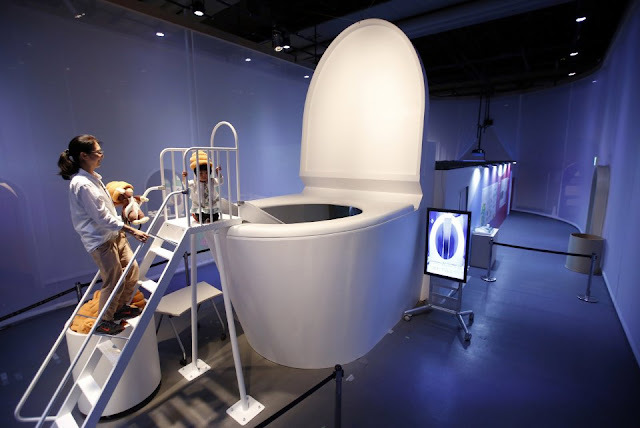 – Human Waste & Earth’s Future” is being held at the National Museum of Emerging Science and Innovation in Tokyo, with 16-foot toilet bowl, riding the slide and inside is full with toilet stuffs. 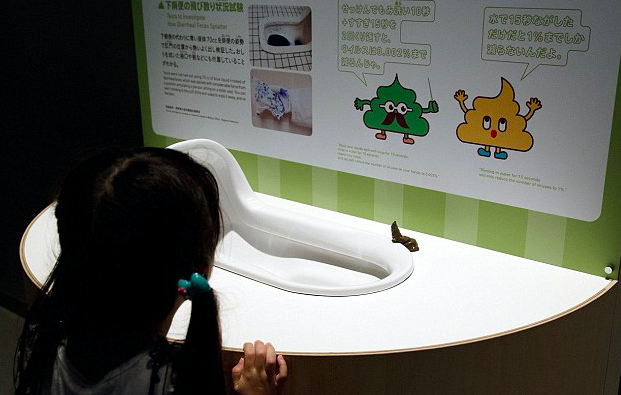 Teaching children about the difference of toilets around the world, how it is working, impact, different types of excrement and etc.